I know I'm late but I certainly do hope that all of you had a delightful thanksgiving! I relaxed my hair on the 18th after a 12 week (!) stretch. This stretch didn't go too badly. I had very little demarcation line breakage, which for me is rare (I usually start to get that around 10 weeks). I was reflecting on what was different this stretch that seemed to leave my hair in better condition. I increased my co-washing, reduced shampooing to once a week, utilized styles that ensured smooth ends while air-drying (flexi-rods, pin curls, etc) and mostly just low manipulation styles. My ends held up well, but since I wear my hair out most of the time, I will dust my ends just to reduce tangling and for aesthetic purposes :). I let my hair air-dry and bunned for a few days until wednesday night. On wednesday night I co-washed with aussie moist and let my hair dry to about 80% and then put in flexi-rods (the 11/16'' gray ones for the body and the 3/4'' blue ones for the front of my head). Those were my results :). 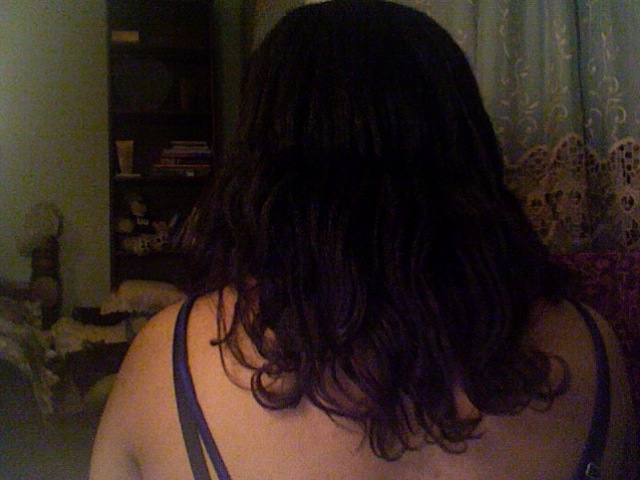 My hair seems to be past armpit length and I think it may be below shoulder blade (BSB) at this point. I'm hyped! 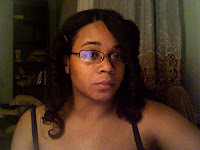 I think I finally found a great way to manage my hair while being able to enjoy the progress I've made. I will be dusting, straightening and doing a length check shortly. I want to see how this stretch treated my ends. If they aren't too crazy, 12 week stretches may be my new thing :o). Congrats. How long do you think you are going to shoot for hair length wise? It looks beautiful & congrats on reaching your next length milestone! Your hair looks beautiful and congratulations on meeting your goal! Thank you hun!! Thanks for visiting and commenting!